Ideas, Inventions And Innovations : Why Are Different “Flavors” of Iron Found Around the Solar System? Why Are Different “Flavors” of Iron Found Around the Solar System? 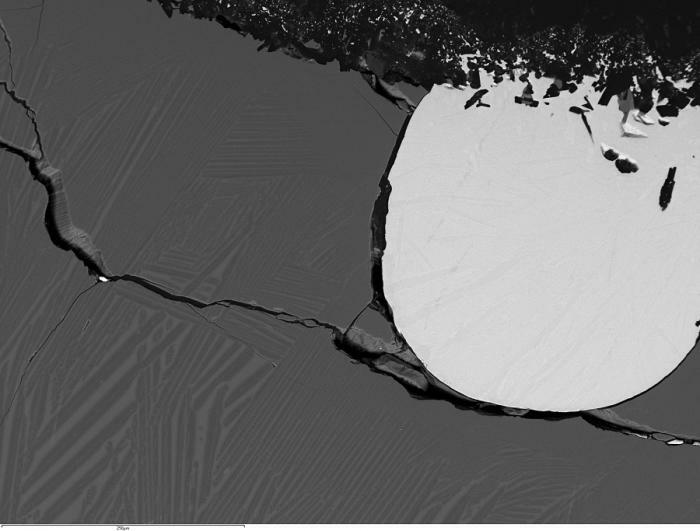 A scanning electron microscope image of one of the experiments in Elardo and Shahar’s paper that shows a bright, semi-spherical metal (representing a core) next to a gray, quenched silicate (representing a magma ocean). Image is courtesy of Stephen Elardo.